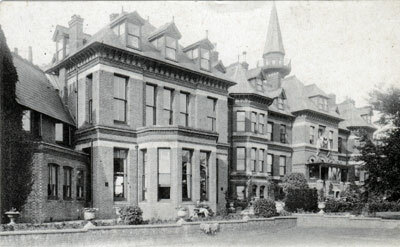 Hazelwood in Ashey Road, Ryde, opened in the 1873 as a holiday home for young gentlemen run by the YMCA. During the WW1 it was used as a Service Convalescent Home. The building was badly bomb damaged in WW2 and was demolished in the 1950's and the site redeveloped.